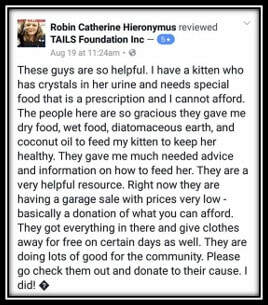 Food4TAILS - TAILS Foundation Inc & PETwork Society! We have Helped 295 Pets with food in 2018! We help assist low income families and the elderly with food for their pets, thus assuring that pets can stay in the home rather than being relinquished. 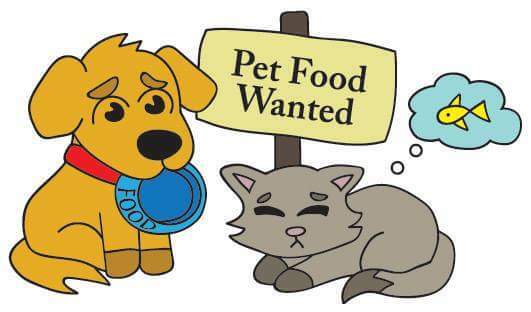 New Pet Food Bank locations coming soon! 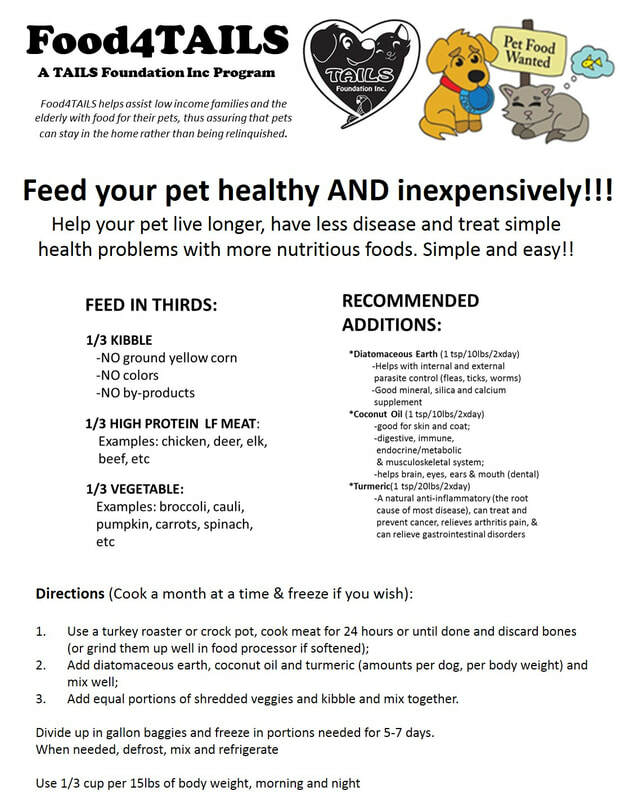 We don't just give out pet food and send people on their way, we give them advice on how to take care of their pet nutritionally, and how to supplement their food naturally and inexpensively. We also add coconut oil and diatomaceous earth if needed, plus advice on how to keep your pet healthy and happy and avoid costly vet visits. Help us keep our community's pet population healthy & happy! !